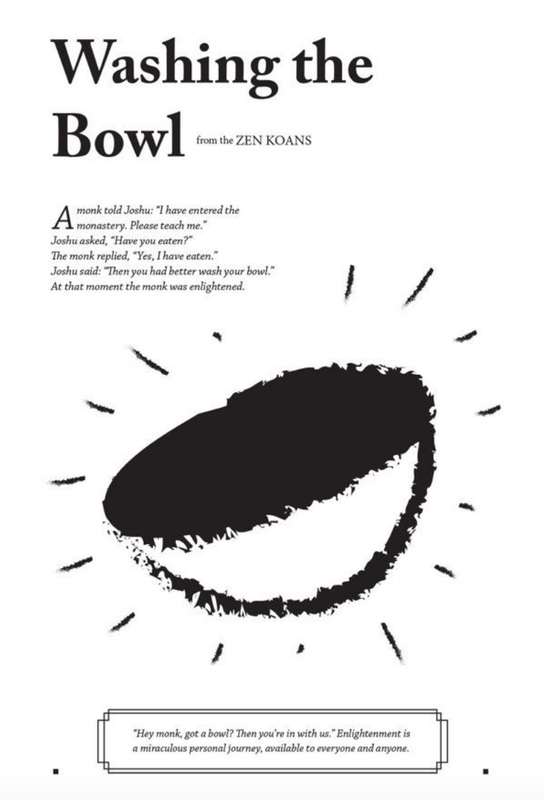 A Zen koan is a finger pointing at the moon. It isn’t meant to serve up absolute truth on a platter, but to help a seeker contemplate the wisdom behind its riddle. A koan, or a puzzle for the consciousness, should instill ‘great doubt’ about a subject, so that students, especially of the Renzai tradition, can test their progress toward awakening. Seeking the ‘selfless self,’ as a way to clarify the Great Way has been passed down for centuries by Zen masters, but this practice is still useful today. In other words, we can’t use the same mind to solve a problem as the mind that created it – the same old Einsteinian wisdom that can be applied so completely to what the world is going through today. 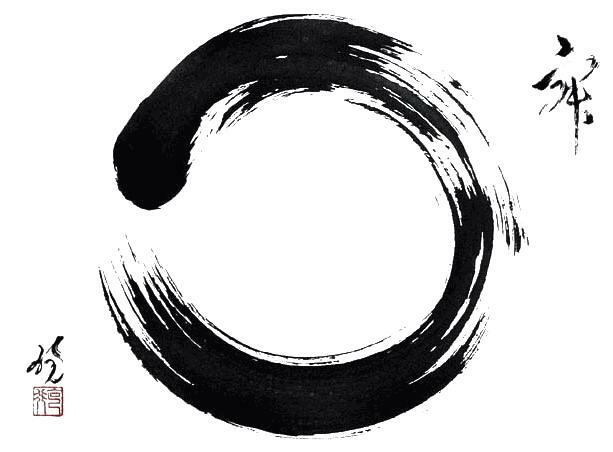 The first Zen koan reminds us that every single person can arrive at the Great Way, or experience “Mu,” a shorthand word for the very first koan ever written, which supposedly contains the secrets of the Gateless Gate. Mu helps us break through the conceptual fog that many of us live in. There are many ways to arrive at the answer to this riddle, but essentially it outlines the need to get started on something right away, and not to wait to take care of the things that need to be done. You don’t wait until later, or tomorrow, or next week. You eat. You finish. You wash your bowl. All great things are accomplished with this attitude of immediacy. Otherwise, the dirty bowls pile up, and no one attains enlightenment with clutter choking their space. Procrastination is a habit many of us struggle with. We have all sorts of crutches that keep us from getting to the things that really matter. Is there something you could be doing with your time to become more loving, peaceful, or productive that is wasted by watching television, smoking, drinking, playing video games, surfing the net, or some other bad habit? False ‘needs,’ like the need to smoke or drink inhibit our ability to act on the important stuff. As we learn to let go of these things, we can ‘wash the bowl’ more often. Let’s say we want to climb a mountain. We set this as our ideal. There is a paradox in desire, though. With most things in life, we set something as our goal, and consciously work very hard to achieve it. 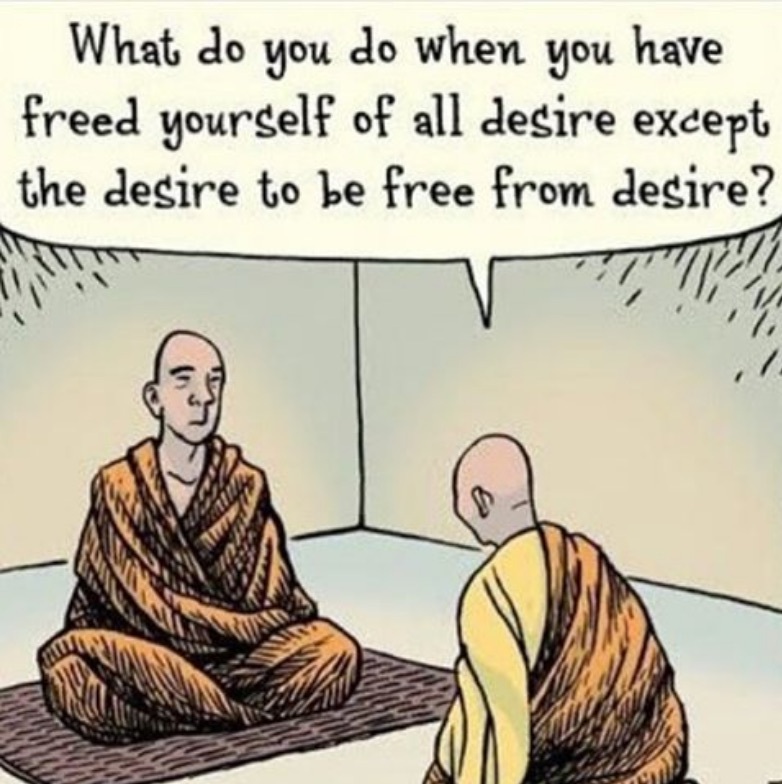 If our aim is to free ourselves of desire though, how do we accomplish this task? In the process of intensely desiring not to desire, we set up an unsolvable problem of not being able to attain our goal. Most of out troubles arise from clinging too tightly to any goal – even the most noble of them. The story points to the need to radically change our approach if we are to overcome desire. The mountain is the mountain, but it isn’t a mountain. We practice loving detachment, and strangely, we are able to let go of clinging to things as we want them to be. Paradoxically, we often also achieve the goal we originally had to let go of in the process of becoming desireless, and letting go of our attachments. The next Zen koan involves what seems to be a silly question. It asks if all beings have ‘Buddha nature.’ Zen, and Mahayana Buddhists believe that all things have Buddha nature, even insects. The seed of enlightened consciousness is in every living thing. The choice for that being to move toward enlightenment is entirely theirs, though. This, in fact, could be more important than ‘if’ someone or something has Buddha nature, since we all do, but whether or not they will endeavor to realize it in its full blossoming. There is a story of a brahman (a seeker) who asked the Buddha if all the world would reach release [awakening], or if half, a third, or some other number would achieve this. The Buddha was silent. One of the Buddha’s attendants, worried that the brahman might confuse the Buddha’s answer, took him aside and offered an analogy. He said, “Imagine a fortress with a single gate. A wise gatekeeper would walk around the fortress and not see an opening in the wall big enough for even a cat to slip through. 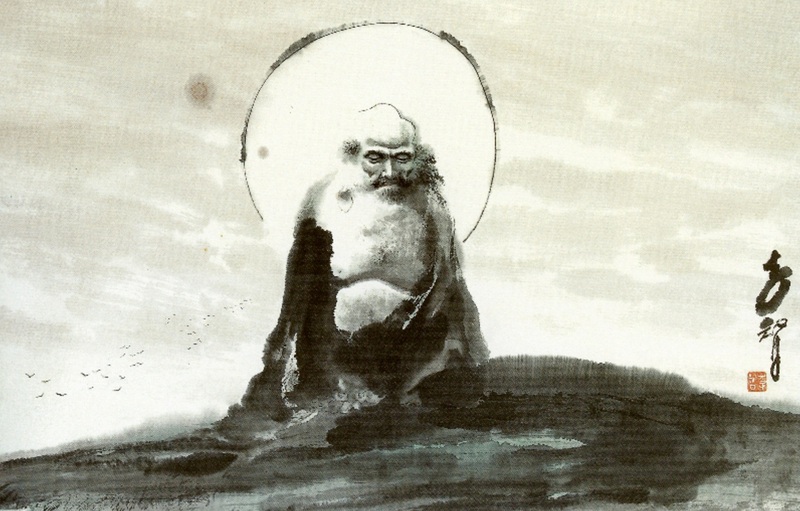 Because he’s wise, he would realize that his knowledge didn’t tell him how many people would come into the fortress, but it did tell him that whoever came into the fortress would have to come in through the gate.” The enlightened ones, such as the Buddha didn’t worry about how many people would reach Awakening, but he understood that anyone who reached this high state of consciousness would have to follow the path he had found: abandoning the five hindrances, establishing the four frames of reference, and developing the seven factors for Awakening. Though these are detailed very specifically in Buddhism, they are echoed through almost every wisdom tradition in the world. 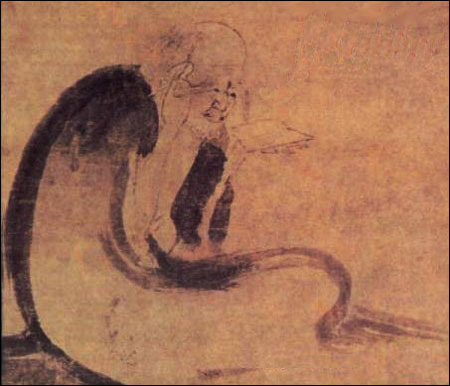 The most important point of the koan is implied in the word ‘if.’ The path is clearly defined, but the choice lies with the sentient being if they want to realize Mu or Satori. 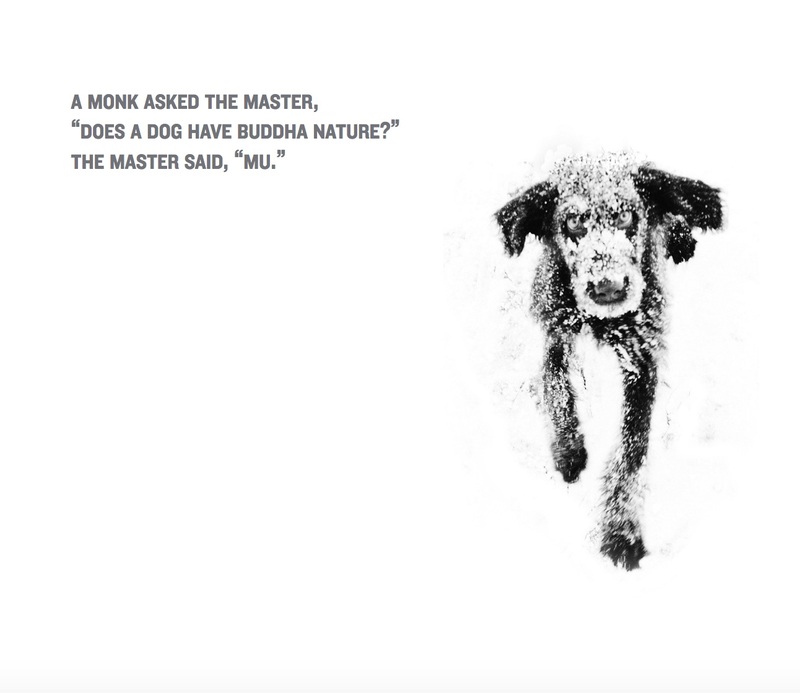 The fourth zen koan is not a verbal puzzle but a visual puzzle. The ensō or circle symbolizes absolute enlightenment, strength, elegance, the universe, and mu (the void). The circle encompasses all and excludes nothing. Contemplate on this symbol, and share what wisdom it brings to you.